Driver is a buck driver. A short off/on selects next mode. 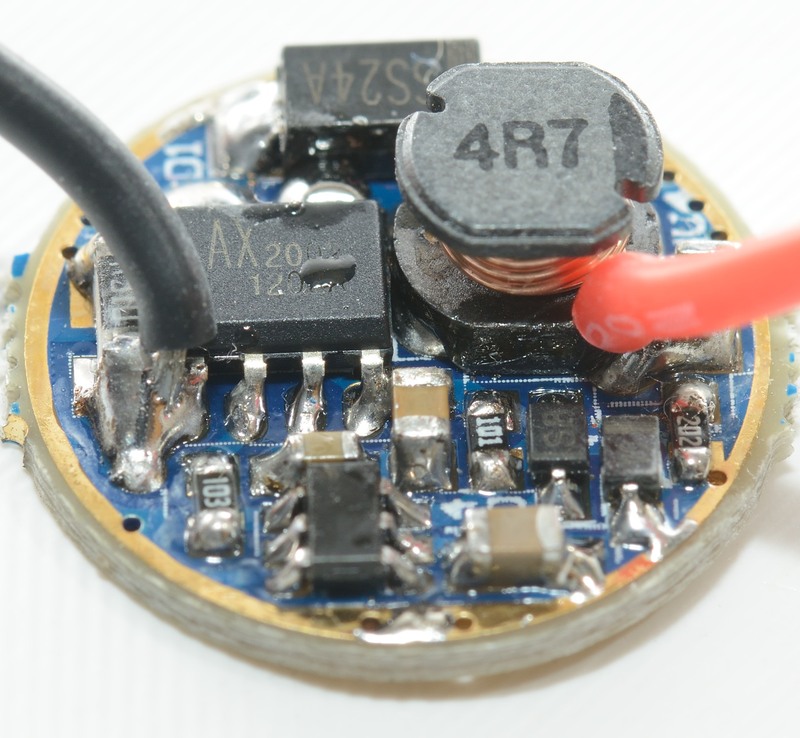 With this pwm driver the efficiency calculations are good between 5 volt and 8.4 volt for the pwm modes, high is good down to 3.4 volt. 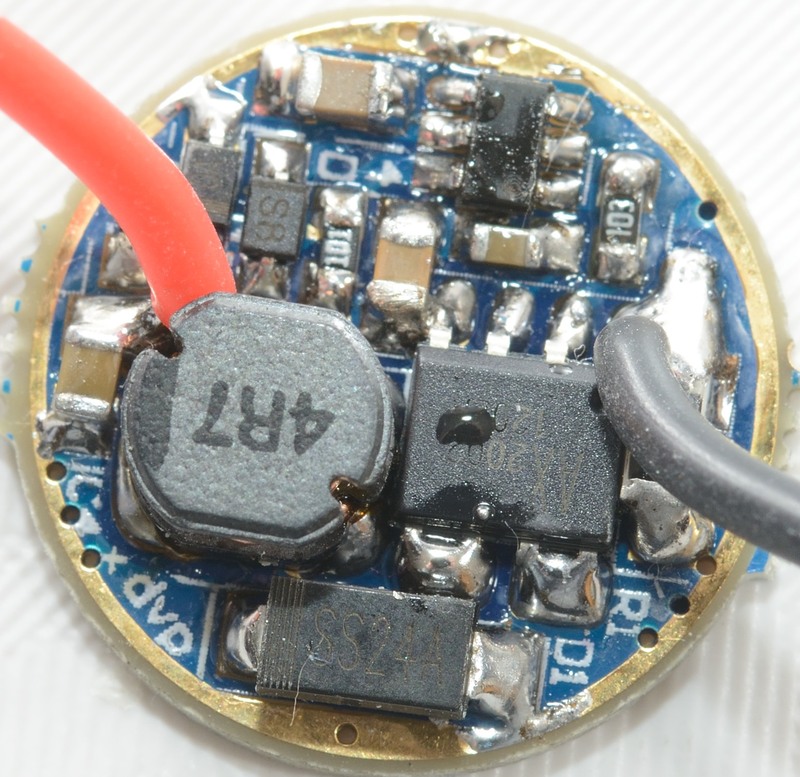 This driver has a bump around 4.5 volt and drops fast below 3.9 volt. The best range is above 4.7 volt and up to 8.4 volt where the output is very stable. 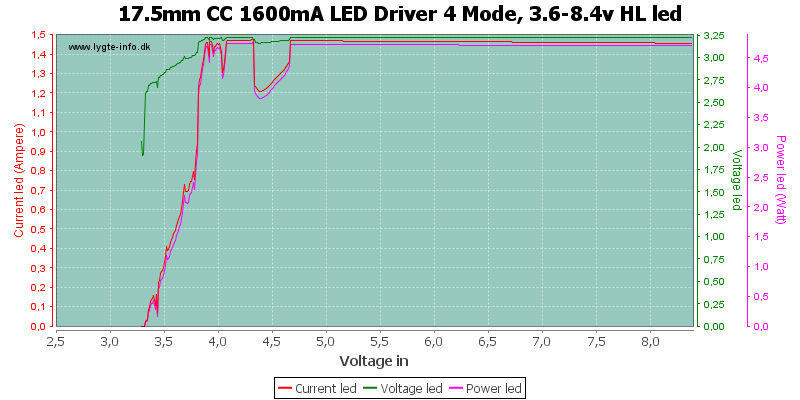 It looks like the best configuration for this driver is with two LiIon cells or four NiMH cells. 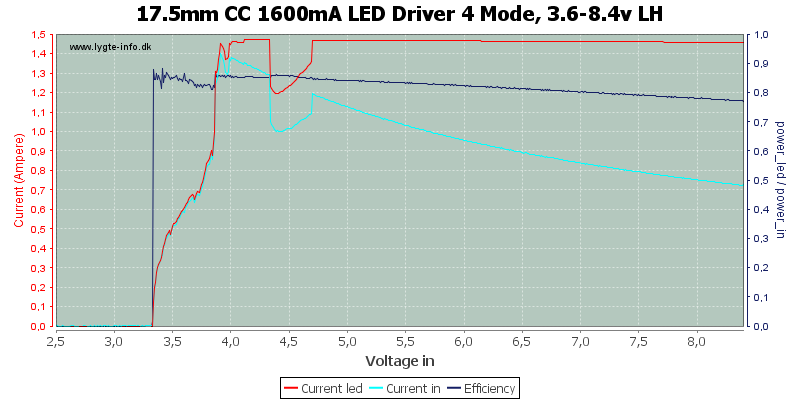 Increasing the voltage for zero volts shows that the driver starts at about 3.4 volt. 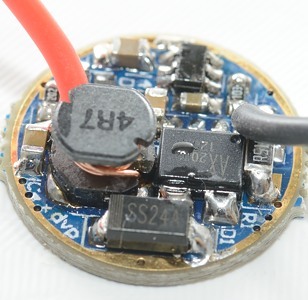 The high output is without any pwm, only a small about of high frequency noise from the buck converter. 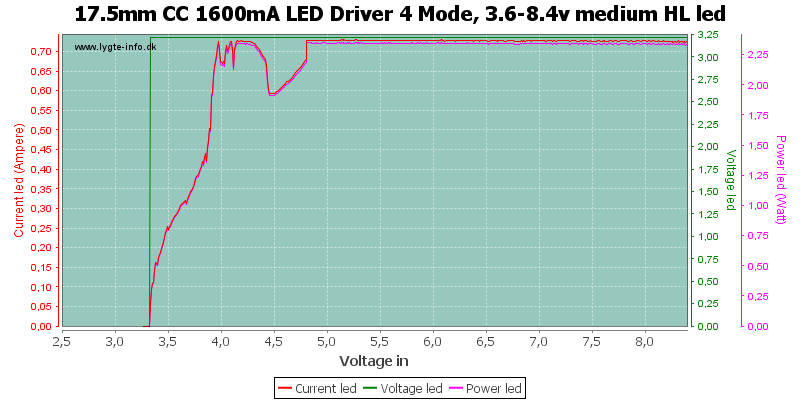 Around 4.5 volt the driver does strange things. 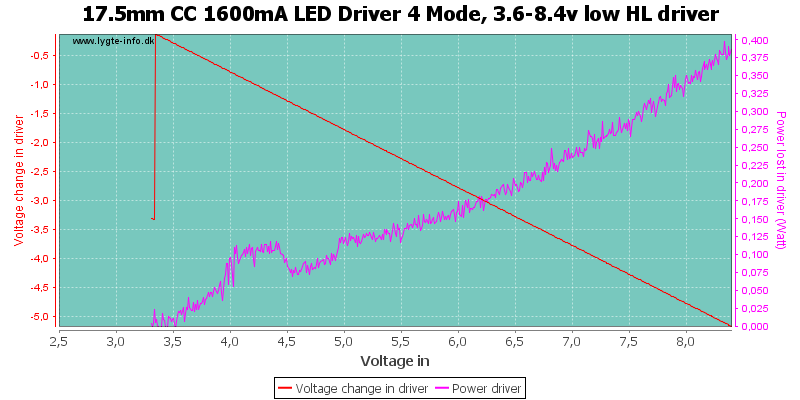 The driver jumps up and down in brightness at a fast frequency. Reducing the brightness works exactly the same (Not really a surprice with a pwm driver). 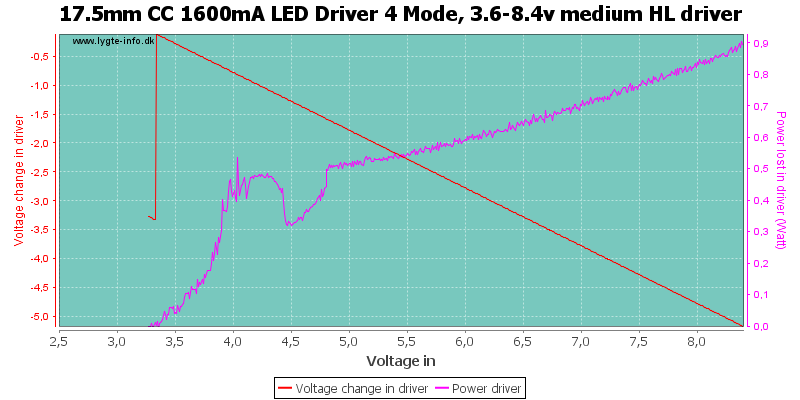 The driver uses pwm at 970Hz with a 50% duty cycle to reduce brightness. Low is again the same, except the dive in brightness has moved to a slightly higher voltage. 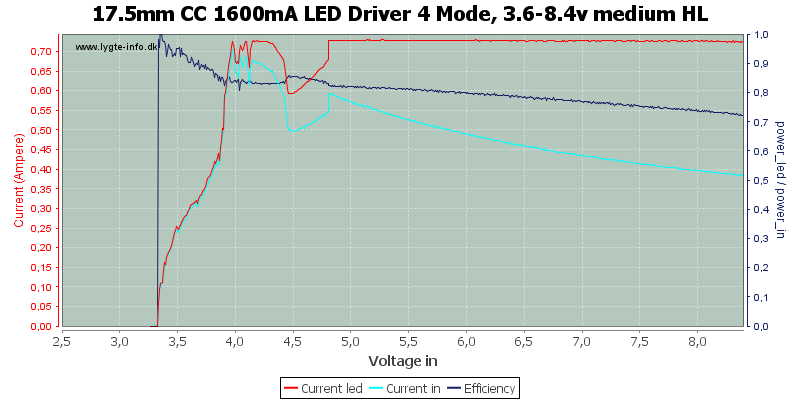 At low the pwm duty cycle is down to about 10%, this is not a very low selection for low. 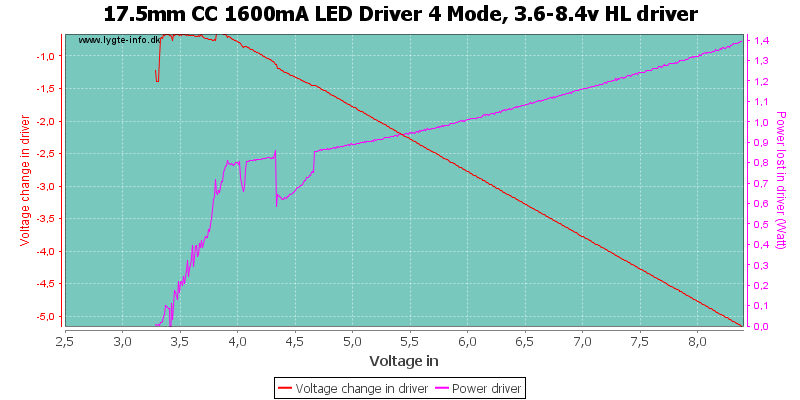 The driver looks like a good driver as long as it has voltage enough. 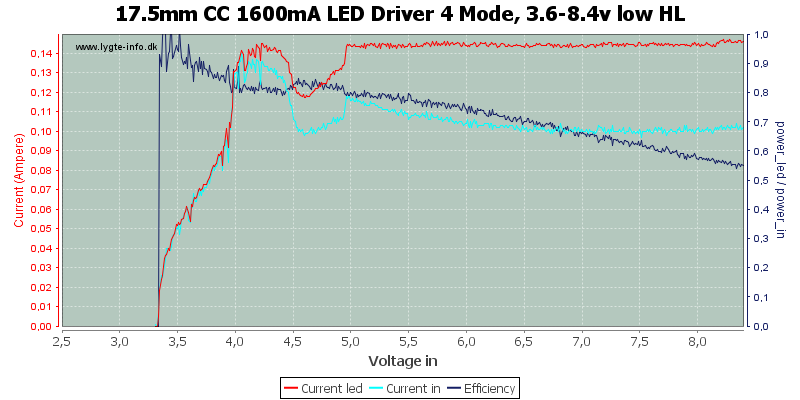 The 1kHz pwm is also a good value, it is high enough to mostly avoid flicker and low enough to only have a minor impact on efficiency. 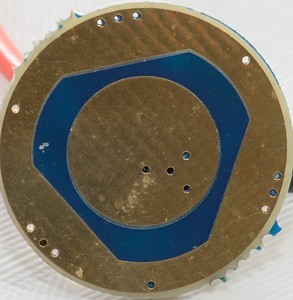 I am not very impressed with lck-led's custom service. 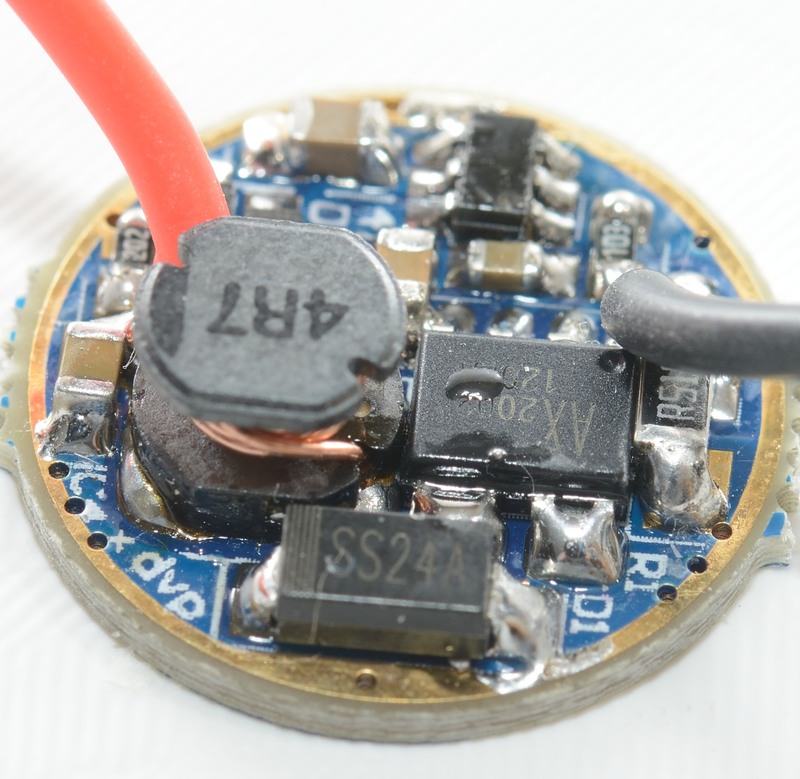 I got one wrong driver and one driver that was far outside specifications. I have sent a couple of emails to them, I got one question back after two weeks: did I want money back or a new driver. There was no explanation if it covers one or both of the problems and I do not know if they have sent me a new driver (That was my answer).